This is our annual post on the discrepancies between the traditional arrangement of the Roman Breviary and the new rubrics of 1960; the first such discrepancy appears at Vespers tomorrow evening. Previous versions of this post were done to explain the difference in dating the September Ember Days, but this year, they are the same in both systems. The “first Sunday” of each of these months is traditionally that which occurs closest to the first calendar day of the month, even if that day occurs within the end of the previous month. This year, for example, the first Sunday “of August” is actually July 29th, the Sunday closest to the first day of August. 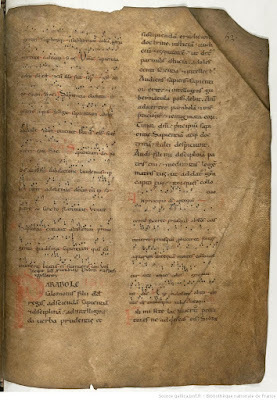 The beginning of the antiphons and readings from the Sapiential books, in a Breviary of the second half of the 11th century, from the Abbey of St Martial in Limoges, France (now destroyed). 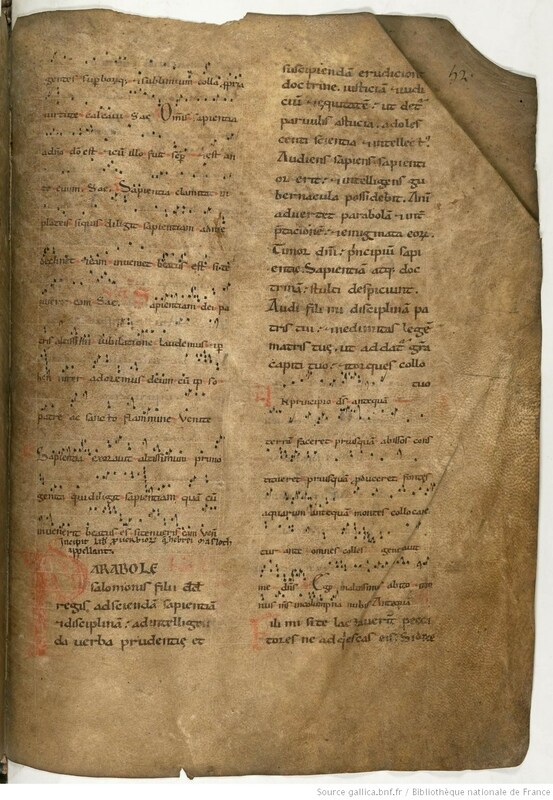 Bibliothèque nationale de France, Département des Manuscrits, Latin 775, folio 52r. In the 1960 revision, however, the first Sunday of the months from August to November is always that which occurs first within the calendar month. According to this system, the first Sunday of August is the 5th this year. This change also accounts for one of the peculiarities of the 1960 Breviary, the fact that November has four weeks, which are called the First, Third, Fourth and Fifth. According to the older calculation, November has five weeks when the 5th of the month is a Sunday, as it was last year. (This is also the arrangement that has the shortest possible Advent of 3 weeks and one day.) According to the newer calculation, November may have three or four weeks, but never five. In order to accommodate the new system, one of the weeks had to be removed; the second week of November was chosen, to maintain the tradition that at least a bit of each of the Prophets would continue to be read in the Breviary.